Join us for a live webinar to learn how the new NVIDIA Turing™ architecture and powerful NVIDIA Quadro RTX™ GPUs fundamentally alters the technological and economic landscape for professional media and entertainment (M&E) workflows. Learn how Turing fuses real-time ray tracing, AI, simulation, and rasterization to open up amazing creative possibilities. Learn how Quadro RTX opens up new creative vistas and storytelling possibilities for M&E professionals. 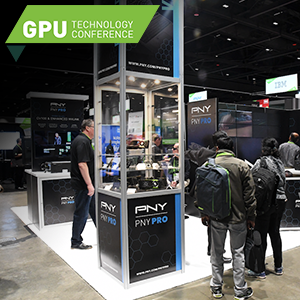 Explore the dramatic impact NVIDIA’s RTX technology will have on production workflows and economics. Explore how NVIDIA’s RTX platform brings cinematic real-time ray tracing to Turing GPUs. See how NVIDIA’s NGX AI technology will transition graphics boards from tools to active assistants for a variety of labor intensive M&E tasks. Learn the key specifications, benefits and features Quadro RTX offers for M&E workflows and use cases. 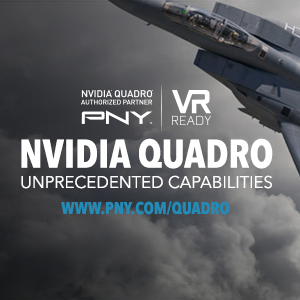 All live webinar attendees will be entered into a drawing for a chance to win an NVIDIA Quadro P4000!